If you Perch hounds are like me.... your pretty new perch rigs are all tied, fresh line down, reels lubed etc. Just chomping at the bit to get out there & whack em. Looking at my records from last year, my first trip to Erie perchn was March 26th...and whatta day it was!!! Has anyone been out yet? 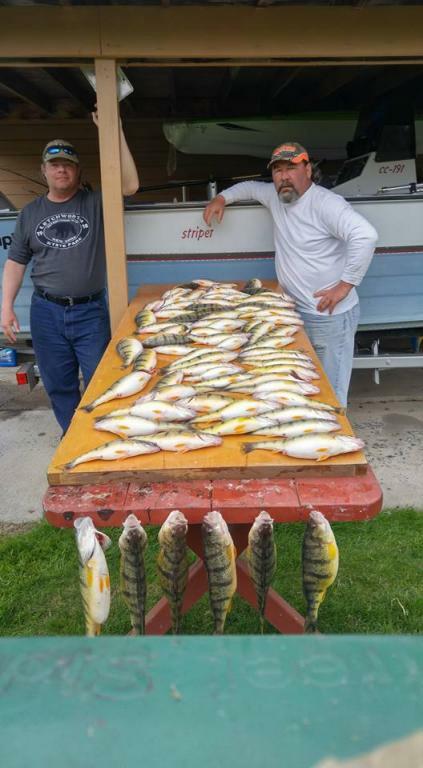 We have been "picking away" at em around the finger lakes a little. Nothing crazy. Looks like a bit more than "picking away" a little! Is pic from the finger lakes? Nice job! 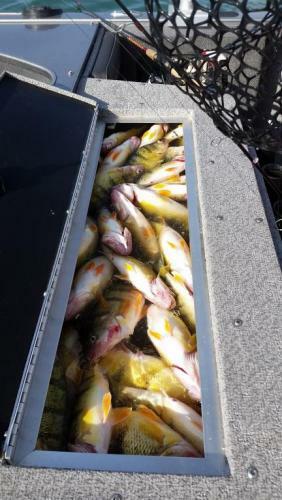 Yellowpike, that catch pic from this am, Nice size, Nice job! Where did you launch at? Where you out on the lake or inside the gap? You got me! lol but I thought I saw that pic before. forgot about April 1. Anyone found perch out of the Cat yet? Last report was everyone was having a difficult time finding them yet. The perch at this time are usually inside 24 foot of water. When they are done spawning , after the water temperature reaches 48 degrees F. , they move out to the mud bottom at 55 foot to feed on the critters in the mud. 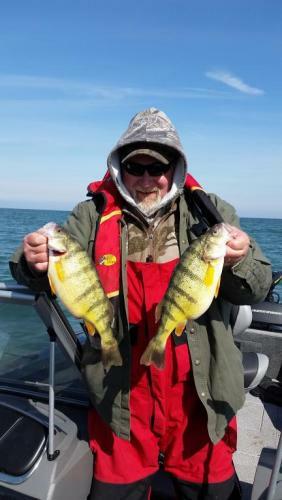 Perch are in the upper Niagara River at the Ontario Bar & Blue Water Marina now. A friend fished Wed. from the catt. to Sp shallow & deep & ended up with 2 fish. He fished from 8am-1 pm. was the only one out on the lake Then decided he was nuts& left! Fyi, he tried launching at the Hanover launch & found so much slit & mud he couldn't even back the trailer in the water & ended up at the state launch with no docks in yet. Also miller had emeralds. lineman49,Thanks for the report,guess I will stay in the Upper Niagara River and be happy with 10"ers for now! Can anyone give a report on water quality in the Upper River? I'm thinking of going tomorrow but am worried the river might not be fishable after the mid-week rain and wind. East River maybe 3 ft visibility, West River green tint.Remember you can't take emerald shiners from U.S. side into Canadian Waters, need Canadian Bait Certified Certificate,without $250 fine.,worms in soil not purchased from Canadian Bait Shop will also get you a $250 fine.Flare Pistol must have plastic barrel or considered a firearm! Definitely staying in American waters probably going to fish around blue water and some of the marinas along the 190 stretch would you say they're fishable? I just drove past the river going downtown on I-190 going to NMA Banquet, the water was still drown from the Buffalo River run off. Not the news I was hoping for. Thanks for the report nonetheless.